You may have heard that all it takes is two smart workout sessions a week during the busy holiday season to maintain, or even lose weight when others seemingly can't help but gain it. 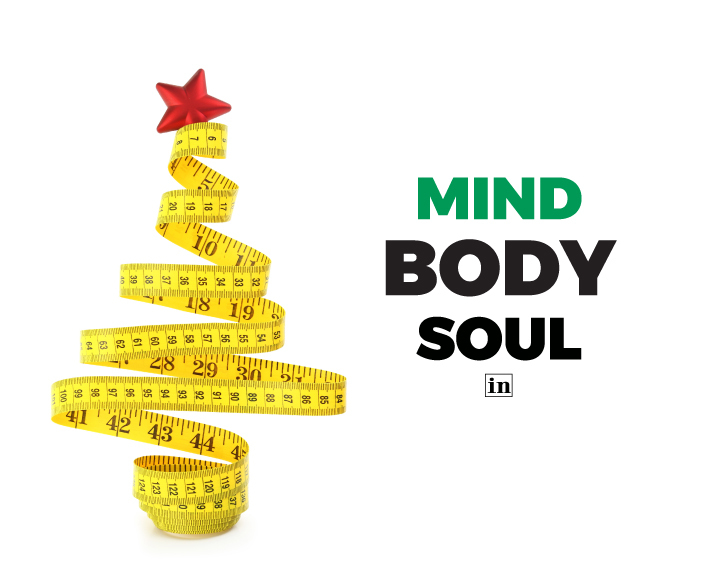 While more of a mental exercise in planning and execution than a miracle, starting on your path to better health and fitness now - before the New Year - will feel heavenly, especially when you love how you look in your holiday finery. But before you begin, you have to have a plan. Specifically, a strategy session with a professional handpicked-for-you highly-educated trainer from Results Fitness in Old Town Newhall. In your strategy session with your Results Fitness coach, they'll assess the current condition of your body to be sure Results is the best fit for you. You'll answer questions about your health history, past injuries, previous training or workout history, as well as specific goals. Then, you'll be evaluated on your range of motion and flexibility, screened for any imbalances you may have that could cause potential injury and be provided answers to any questions you might have. The goal is for you to stay fit and safe, so the process isn't quick - but it is thorough. After your sesh, you'll get started. Each plan is unique, but consistency is key. Prioritize your two weekly workouts, be smart about what you consume and get ready to smile smugly when everyone else is announcing their fitness goals on New Year's Day. Organic Sweat Shack on Main Street in historic downtown Newhall always bustles this time of year as guests pour into the store to feel the natural relief and benefits of infrared heat sauna treatments. Here's one more reason to make your way into the cozy spot: the much-anticipated Shack 'Twelve Days of Christmas" event. Starting on December 13 and running through Christmas Eve, each day brings a new, wow-ing one-day-only special. Follow the Shack on social media to see each day's surprise deal or, better yet go in for a sweat and do your shopping all at one time. 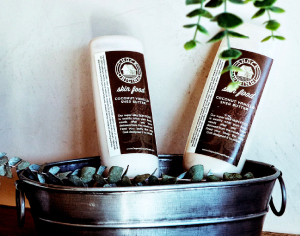 Exclusively available at Organic Sweat Shack, Skin Food soaks into every cell to nourish dry winter skin. Stuff stockings with the yummy-scented, all-natural treat, paired prettily with a Sweat Certificate. Pickleball is a sport that is taking the country by storm - and now that The Paseo Club has five pickleball courts, Santa Clarita is reaching peak pickleball frenzy. New to the game? Here's your pickleball primer. Created in 1965, pickleball is a court sport played with a 34-inch tall net on a badminton-sized court. The ball, slower than a tennis ball, is made of perforated plastic - kind of like a wiffle ball - and hit with paddles about two times the size of those used for ping-pong. 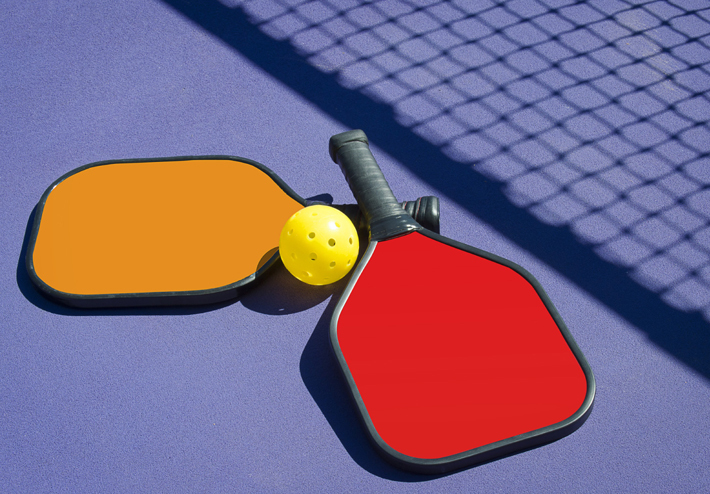 Pickleball is fun, combining the best parts of tennis, badminton and ping-pong. It is enjoyed by people of all ages and can accommodate all skill levels. The game is easy for beginners to learn, but can develop into a quick, fast-paced, competitive game for the experienced player. Want to play? Here's some extra incentive. Pickleball is now included in the Health Fitness membership at The Paseo Club. For example, the single Health Fitness membership includes fitness, swim, yoga, cycle, social, Kids Club, access to the day spa, executive locker rooms and pickleball - all for monthly dues of $85. The Paseo Club, Santa Clarita's premier fitness and lifestyle club, has a variety of affordable memberships for individuals and families. Imagine that a trained Urban Zen Integrative Therapist puts you in the most comfortable position possible. They present to you an intoxicating smell while talking you through observation of your breath. As your chest rises and falls, you notice the sensations that are coursing through your body, which has become a sanctuary in which to rest. You feel miles away from the dominating push and pull of your fears, identifications, desires and aversions. You don't have to imagine anymore, because that freedom is here right now with the Urban Zen Integrative Therapy program at Rising Lotus Yoga SCV. Urban Zen Integrative Therapy harnesses the mind into the present moment and prevents wasting energy on unnecessary stress. Studying the breath not only keeps our mind in the "now" but also unwinds physical tension by supplying fresh oxygen and optimizing circulation. Gentle movements engage the mind and breath in the body. Restorative poses optimize respiration, circulation and digestion by organizing the architectural shape of the body. Breath awareness brings us back to the essential rhythm and integration of our mind, body and spirit. Meditation offers a true sanctuary away from the craziness of life. Essential-oil therapy affords the natural healing powers of the plant world, from oils that enhance meditation to oils that reduce pain and soothe our nerves, to oils that aid in digestion. There are even oils used to boost courage. 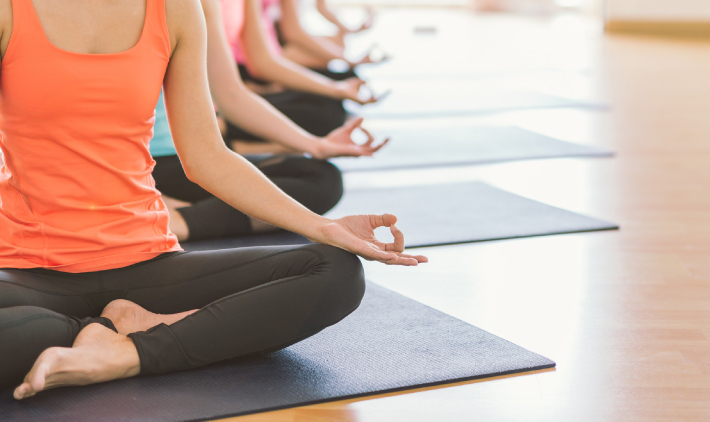 In combination with yoga techniques, essential-oil therapy serves to build a foundation for rebalancing the mind and body. Reiki is another modality that, when used in combination with yoga and essential oil therapy, significantly increases rejuvenation of the mind and body. It is said that the heart is 100 times more powerful than the brain and that the hands are a 100 times more powerful than the heart. The simple laying on of attuned hands to the body can create profound rebalancing. We know the importance of touch in our everyday life; it is not a mystery how important it is during times of sickness and stress. Sound good? Right now, you can take 10 classes, including this one, at Rising Lotus for only $50 for new students. 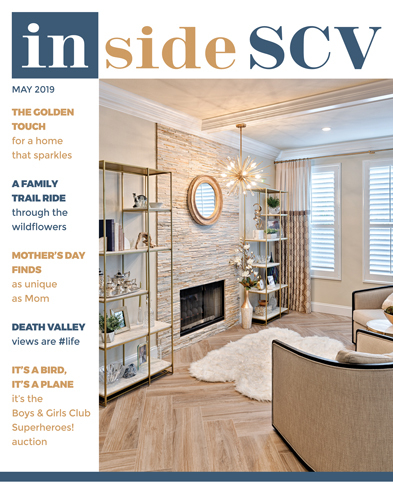 Mention InsideSCV to get this deal, or send an e-mail.